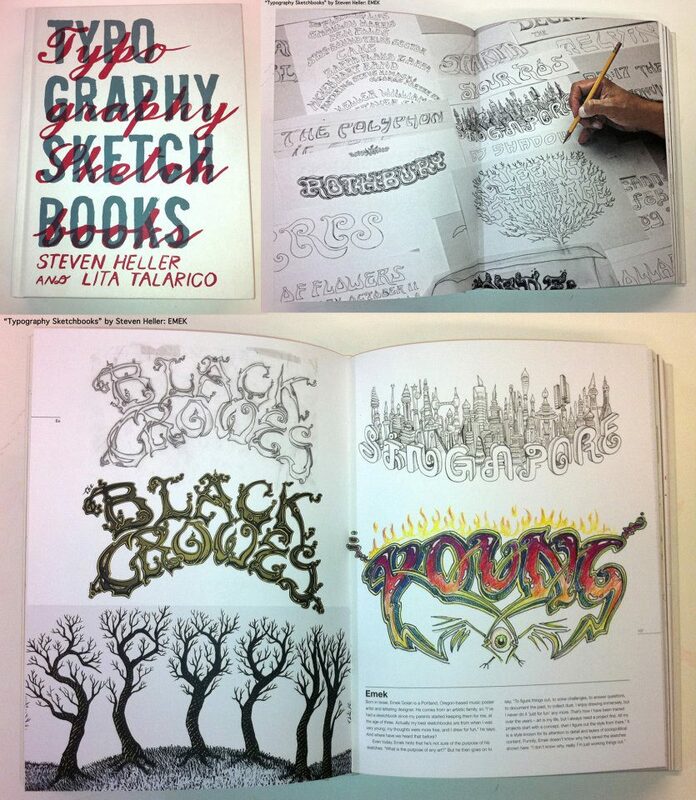 We are super stoked to see a sketch EMEK did for our poster make it into the book Typography Sketchbooks by Steven Heller and Talarico Lita. From the books description: Typography is an obsession for most designers. It’s at the heart of all visual communication and is one of the purest forms of design, one that can always be improved and refined. Typography Sketchbooks gets into the minds of designers who create typefaces, word images and logos through their private sketchbooks. The result of these wide-ranging typographic musings provide fascinating insights into the expressive quality of letters and words. Aimed at all those who use type, whether by hand or on-screen, this pleasing compendium stresses the importance of good typography at a time when reading habits are changing and celebrates a craft that has endured for centuries. 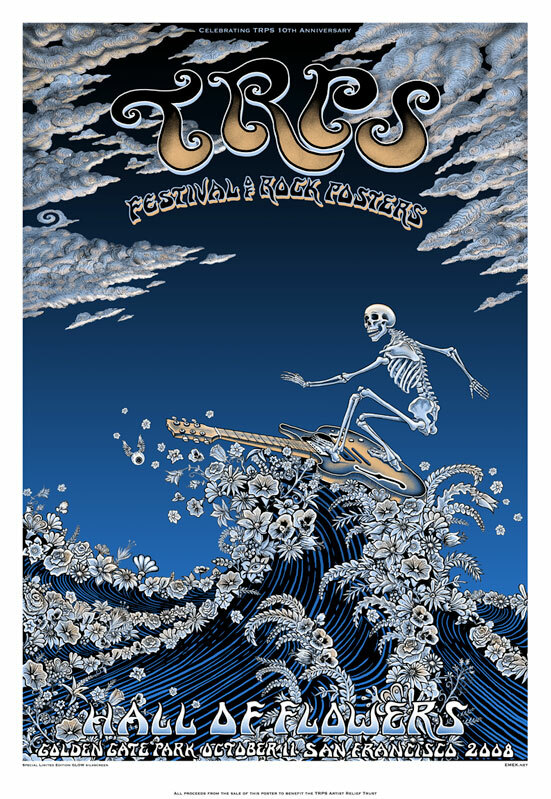 The TRPS 10th Anniversary Festival of Rock Posters poster EMEK designed for us is pictured below. The glow in the dark silkscreen embossed poster is sold out, but you can get this art on a high quality T-Shirt if you become a TRPS member. Makes for a great Holiday gift! The poster is also in Emek’s book EMEK: The Thinking Man’s Poster Artist: Collected Works of Aaarght! If you purchase the book from his website, it will come with a Signed & Doodled Foil Handbill!